As 2015 drew to a close, EDN (Electronic Design News) recognized the year's top products with its annual Hot 100 Products list. These 100 products were selected by EDN’s readers and editors and, in 2015, they include two products from Osram Opto Semiconductors in the Optoelectronics and Lighting Control Category. The Osram Ostar Stage LED, a true market leader in LEDs for stage lighting applications, features four high-power chips with the latest thin-film and UX:3 technologies in red, green, blue and white. Providing higher brightness with no increase in package size, this LED is ideal for use in stage spotlights. The 1 mm² chips can be operated for the first time at up to 2.5 amperes (A), providing an output of 30 watts (W), which is twice as high as the existing version, adding another output class to the Osram Ostar Stage product family. The Osram Ostar Stage family now covers an output range between 15 and 60 watts, with the 60 watts coming from the previously released LE RTDUW S2WP version. These LEDs are the light source of choice for moveable stage lights, known as moving heads, which provide powerful light beams for rock concerts and other impressive lighting arrangements. Based on their versatility they are also enabling colorful, high power mood, architectural, effect and accent lighting. 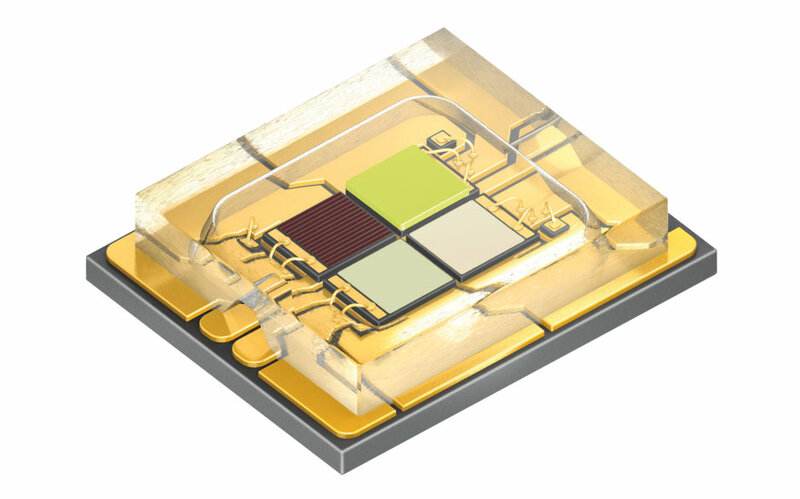 These high-power LEDs will be available from Q1/2016 in high volumes. The Duris S 10 is the latest addition to Osram Opto Semiconductors’ successful chip-array SMD family, using an array of LEDs to create a single spot light design with an easy-to-assemble SMD component. Combining the proven reliability of all Duris S family packages with a new level of light output up to 1,500 lumen, Duris S 10 opens up great new opportunities for both powerful and cost-effective general lighting solutions, from professional to consumer luminaires. Duris S 10 is available in two versions of 1,050 lumen typ. and 1,400 lumen typ., with the same footprint and a wide range of color temperatures from 2,700 to 6,500 K. These new LEDs enable a very flexible, powerful single light source design without multiple shadows, also allowing simple optics design and flexibility to fit various accessories. The combination of small light-emitting surface and high lumen package provides excellent optical control and very narrow angle design. The brilliant result for manufacturers and designers: Duris S 10 designs offer a significantly higher lumen per dollar ratio compared to Chip On Board solutions with the same power. 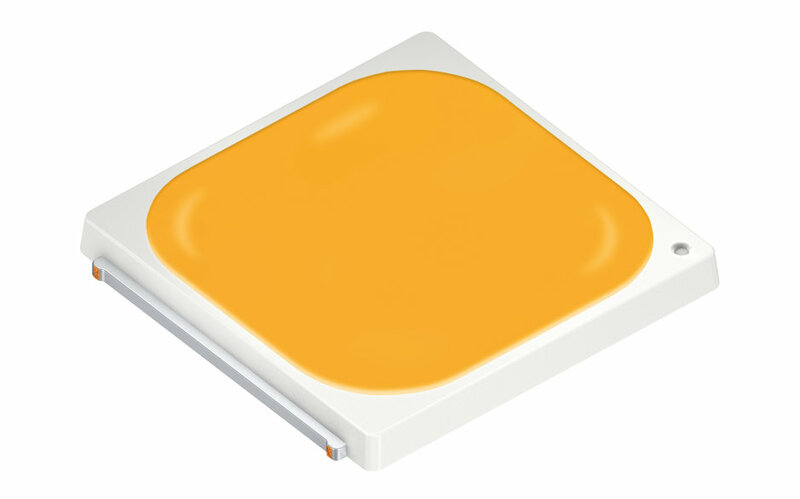 Just click for more information on Osram Ostar Stage and Duris S 10 products.